SCHNEETAG! Snowmass, Colorado, April 14, 2013 Schneetag is the German word for "snow day." Put simply, it translates as "daredevils willing to propel themselves down a hill, over a jump and across a pond on a craft they built themselves." Entry is FREE! Contact Aspen-Snowmass 970.923-1227 to enter your team! *FREE foot passes for the Burlingame Lift will be available from 11am-3pm so everyone can check out the action This hilarious event is one not to miss. The 6th annual Schneetag event (pronounced Sch-knee Tog) invites teams of four to create a craft that they will pilot down a slope at “Spider Sabich” and attempt to float across a 30x20 foot pond. Every team has a theme and will perform a skit before they descend. This event is just as ridiculous and entertaining as it sounds. Prizes include: - GoPro Hero 3 Black Editions - Tickets to Belly Up and Bottle Service - Tickets to Snowmass Mammoth Festival - Tickets to Rock Jam - Smith Optics Goggles & Helly Hansen Baselayers - Gift certificates to local restaurants including Matsuhisa, Zocalito, Limelight, Aspen Brewing Co and Ajax Tavern - Trip with Aspen Whitewater Rafting on the Roaring Fork River SUMMER 2013 will be here before you know it….so activity planning should be on your calendar, and when you are a guest at the Innsbruck Aspen our concierge service is available to assist you with any planning or reservations! Gondola rides at Snowmass and Aspen Mountain treat you to panoramic views of the Elk Mountains. Pack yourselves a picnic lunch, enjoy a hike , or take a guided nature walk. Get some air on the Eurobungy trampoline or climbing wall. Enjoy all the live music and concerts that will be scheduled, music and the Power of 4 mountains…doesn’t get much better than that! Elk Camp Gondola and Chairlift at Snowmass Did you know that You — and your bike! — can ride the Elk Camp Gondola to mid-mountain reaching nearly 10,000 feet and enjoy miles of hiking and mountain biking trails. It’s amazing! So many exciting place to ride…and hike, fishing and special programs offered for adults. Friday through Sunday and holidays, take the Elk Camp lift to the 11,300-foot summit where you can soak up breathtaking views of the famed Maroon Bells or enjoy a hike back down to the Elk Camp Gondola on the new Summit trail. Silver Queen Gondola on Aspen Mountain The legendary Silver Queen Gondola travels 2.5 miles and more than 3,000 vertical feet from the heart of Aspen to the 11,212-ft. summit of Aspen Mountain. 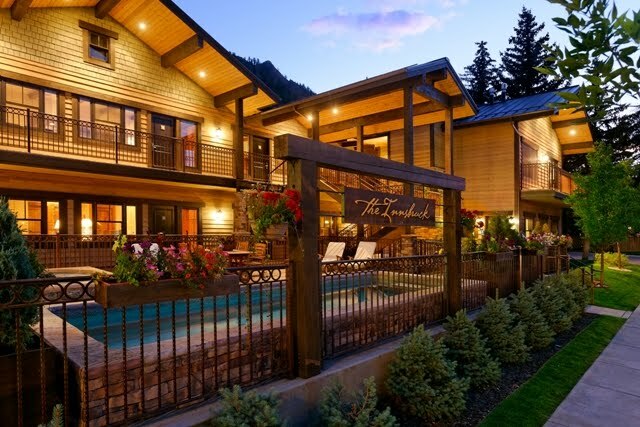 At the top, take amazing photos of the spectacular panoramic views of Aspen and the Elk Mountain Range, dine at the legendary Sundeck, hike and discover adventure. Biking, hiking, fishing, whitewater rafting, kayaking….oh yes, eating and shopping, come join us at The Innsbruck this Summer, it’s going to be spectacular! Be sure to read our blog each week for upcoming activities as the season progresses!